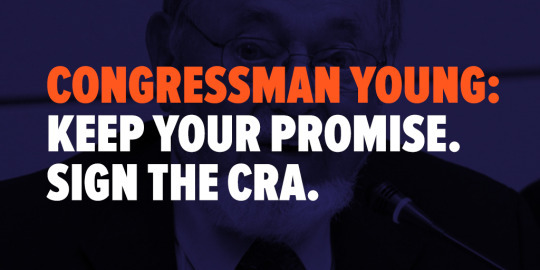 Late Tuesday Rep. Don Young of Alaska issued a statement announcing he will not sign the Congressional Review Act (CRA) resolution discharge petition to help overturn the FCC’s net neutrality repeal. The announcement comes hours after an Anchorage-based business owner went public with news the Congressman had promised to sign the CRA discharge petition during a one-on-one meeting in late June. Fight for the Future is helping organize an emergency protest outside Congressman Young’s Anchorage office tomorrow at 5pm local time. The group is encouraging Alaska small businesses and Internet users to join tomorrow and call his DC office via BattleForTheNet.com.